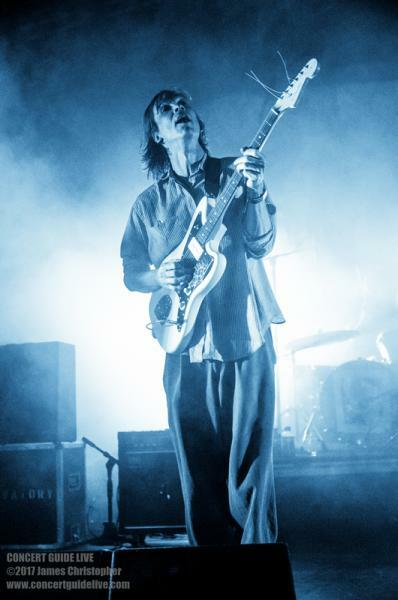 DIIV put their shoe-gaze back on as they head to the Observatory Santa Ana Nov. 18, then return for a New Year’s Eve show at Highland Park Ebell in Los Angeles. DIIV is the creation of Beach Fossils guitarist Z. Cole Smith. 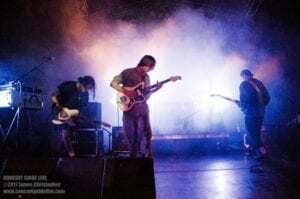 And the two full-lengths by the band, Is The Is Are and Oshin, are very much saturated with guitar presence. Even though the album is rich with ethereal vocal tones and chords, the guitar workings surface above all of that creating a thick choir of melody. One can get lost in the harmonious hum of both studio albums, and just before the monotonous seems to take a foothold within the progression of the songs, the texture of the music shifts into moments that will remind some listeners of Joy Division and Bauhaus, minus the atmosphere of darkness and depression that one can feel from those bands. No, DIIV is music for rocking on silvery fluffy clouds or for a smooth drive down the coast on a sunny day. That’s music perfect for tour dates in California, isn’t it? There are harder hitting patches in the music giving it a groove and maintaining an indie-rock feel. Then there are sections that seem to fade into the background giving the sound an even more dreamy quality, which a shoe-gaze junkie would be fiending for. The diversity in the compositions is something sure to take notice of with this band. I find it is not common and/or easy for most bands to keep a multi-genre title under their belt. Bands tend to be more one genre over another. 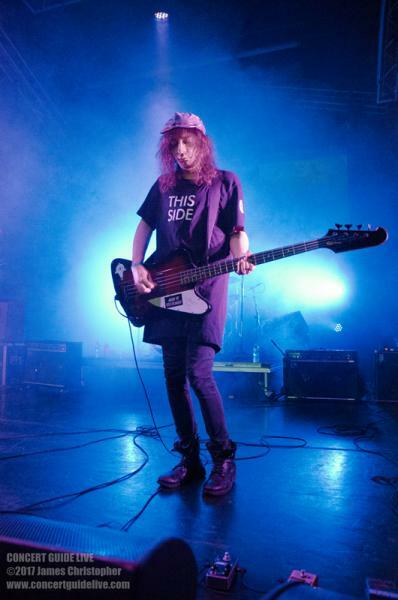 Such is not the case here with the balance in the music that DIIV keeps steady. There are even moments where the band’s shoe-gaze trips morph into psychedelic ones with artsy statics and noises to boot. But should it be that one had their hair in their face for too long or forgot where they were, the sound soon shifts again and takes the listener somewhere else. The aspect of the music that seems to keep you in this lucid-dream-state instead of floating off into unconsciousness are the siren-like male vocals that softly sneak in on most of the tracks. They are wonderfully hypnotic and mantra-like at times. 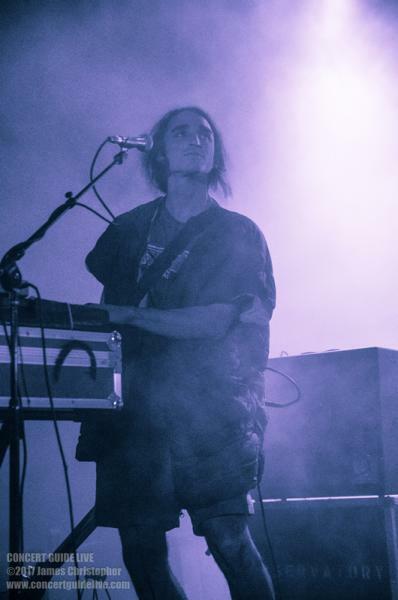 For all the cold-floor-bliss-rockers lurking in SoCal, you can follow DIIV like a dead-head would follow The Grateful Dead for three nights. 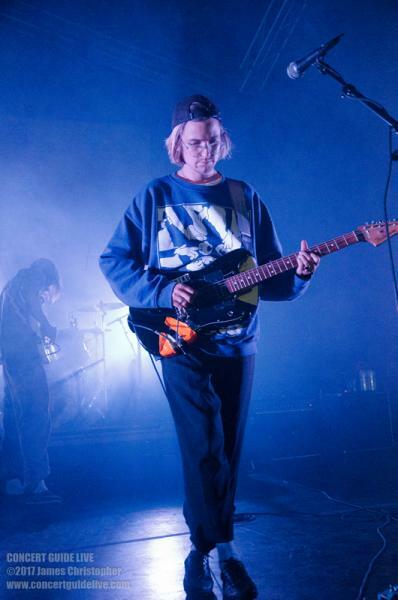 Although the last night is on a Sunday and may not give you ample time to come down off three doses of DIIV by the time you need to wake up for work Monday. Yet, you may enjoy extending that trip into a potential manic work week and choose to just relax while on the job.